5.11 Tactical offers a number of jackets for uniform and undercover work. Its 3-in-1 Reversible is one of the more versatile jackets in the line. 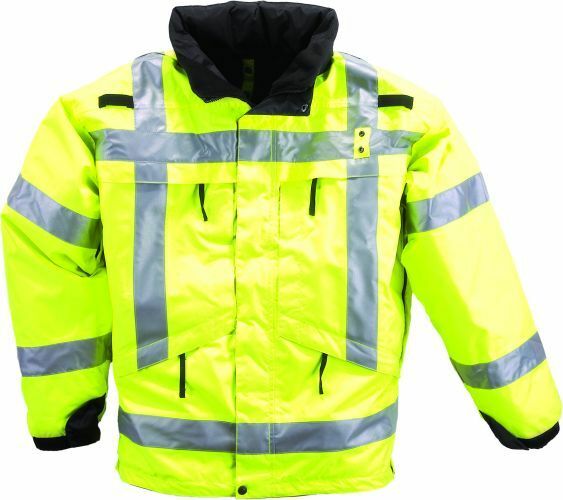 When turned inside out, it goes from black to ANSI III rated high-visibility yellow with 3M Scotchlite so you can be seen in the darkest and foggiest of weather. 5.11's 3-in-1 is waterproof and windproof and the fleece liner can be worn as a stand-alone jacket. Locally I know several officers who wear this as their duty jacket and they are all pleased with the performance and say it will keep you dry in most downpours, save for a monsoon. It's perfect for off-duty use because it looks like any other winter coat.